The trail is 1.3 miles with trail markers interpreting the geologic and natural history of the area. It traverses two washes and climbs over a mesa with a picturesque view of the Lower Colorado River Valley and Sonoran Desert. Location: 40 mi. N of Yuma in the Imperial Nat. Wildlife Refuge. From Yuma: Travel north on Highway 95. Near Milepost 47 turn left onto Martinez Lake Road. Follow Martinez Lake Road west for approximately 10 miles. Turn right onto Red Cloud Mine Road and follow signs directing you to the Visitor Center. 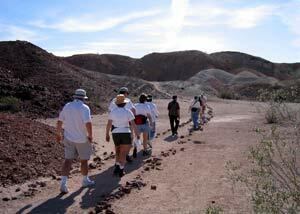 The Painted Desert Trail was developed by the YCC (Youth Conservation Corps). 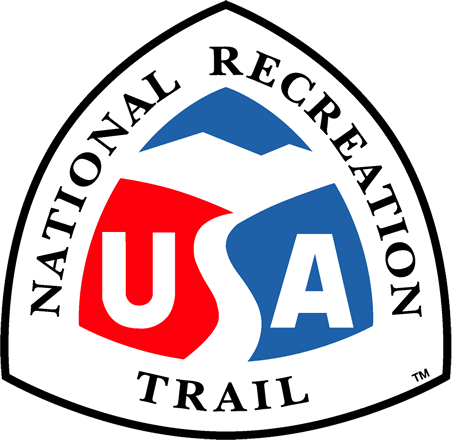 Construction began in 1980 and the trail officially opened on November 4, 1983. The trail is 1.3 miles with trail markers interpreting the geologic and natural history of the area. It traverses two washes and climbs over a mesa with a picturesque view of the Lower Colorado River Valley and Sonoran Desert. The trail is maintained by Refuge volunteers and is used by a variety of visitors, from fourth grade school children on field trips to adventurous people enjoying a full moon hike. The Painted Desert Trail is the only designated trail on the Refuge and provides visitors an opportunity to explore the Lower Colorado River Valley and Sonoran Desert. As a National Wildlife Refuge, the trail fulfills four of the "big 6" compatible wildlife-dependent recreational activities, which are: wildlife observation, photography, environmental education, and interpretation.